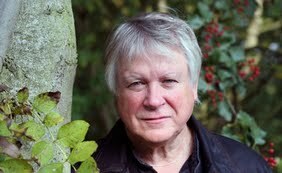 Richard Mabey is a writer and broadcaster, chiefly on the relations between nature and culture. Among his acclaimed publications are Food for Free, The Unofficial Countryside, The Common Ground, and The Frampton Flora. Mabey contributes frequently to BBC radio. and television. He is a Trustee of the arts and conservation charity Common Ground, Vice-President of the Open Spaces Society, Patron of the John Clare Society and President of the Waveney and Blythe Arts. Mabey also writes regularly for The Guardian, The New Statesman, The Times and Granta. He has written a personal column in BBC Wildlife magazine since 1984, and selection of these columns has been published as A Brush with Nature (2010). Richard will perform excerpts from his latest works and will then take questions from the floor led by Adam Frost. Gardening and nature have been a major part of Frost's life ever since he can remember. From his grandad’s allotment, a horticulture apprenticeship and onto training and working with the best of the best, including David Stevens and Geoff Hamilton, the only other career temptations were football and cooking. He is very happy that gardening won through. He joins us after winning his latest RHS Chelsea gold medal to lead an entertaining Q&A session with Richard Mabey.